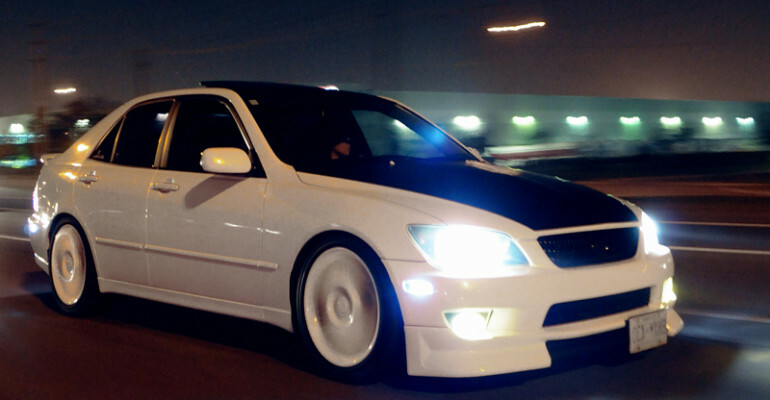 This 2002 Lexus IS300 was given a full gloss white paint job and a color-matched and installed lip to add an aggressive look. A black vinyl centre stripe on the hood and roof compliment the 2 tone look with the black accents on the grill and tinted windows. The suspension is lowered and fitted with white powder-coated TTE rims. Custom painted headlights and tail lights make this car a bright white blur in the night. This beast is also outfitted with a fully built and turbo-charged engine done with the help of Paul DSilva Performance and TLM who helped with the electrical components of the interior mods.